← The Flagrant Foul Week 6 Wrap Up: What Happened to the NFL? When you’re a Bills fan in 2016 you assume nothing. No matter how big of a favorite your team is, until you see them prove themselves on the field each week it’s hard to believe. We’ve just been burned too many times. For 40 minutes Sunday, the Bills let the 49ers stay in the game and fans were left waiting for something to happen that would put the game in jeopardy, as is tradition. Instead, from Tyrod Taylor’s beautiful touchdown pass to Justin Hunter on, the Bills dropped the hammer and left no doubt as to who was going to win Sunday afternoon. 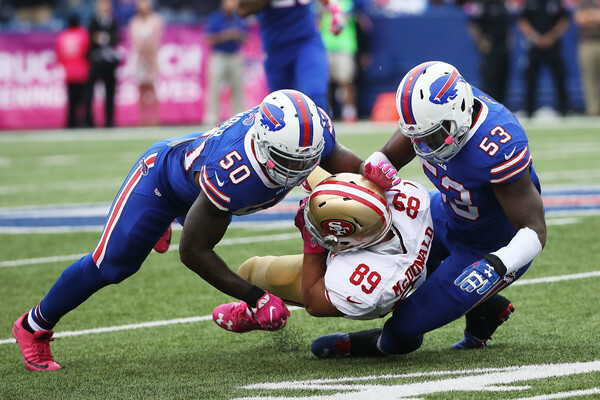 While there were some nervy moments early and yes, the 49ers are a bad team, the Bills handled the game the way good teams do. It’s hard to play a complete 60 minute game on all sides of the ball in the NFL. Breakdowns in the secondary are bound to happen. Lulls in the passing game are bound to happen. But the good teams are able to put together a stretch in every game where they can completely dominate and put the opponent out of reach, which is exactly what the Bills did when they outscored San Francisco by 25 in the last 20 minutes of game action. Once again the Bills handled business and with a 4 game winning streak now to their credit, the Bills have moved closer to it being safe to say this team is legitimately good. Are you familiar with the old adage and classic song “You Don’t What You Got Till It’s Gone”? 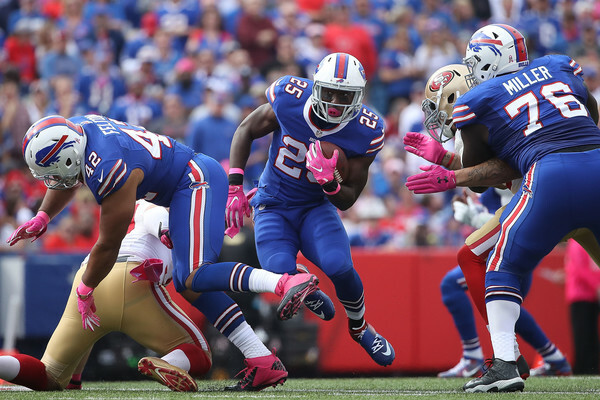 We had that moment on Sunday when LeSean McCoy went down holding his knee near the end of the first half. We all know how good McCoy is, we all know he’s the linchpin to everything they do on offense. But that feeling we all felt when he went down, that’s what LeSean McCoy means to this team. Luckily we only had to test drive that feeling, because Mr. McCoy is tough as nails. He’s also ridiculously talented. It was highly publicized how bad this Niners run defense is; they had allowed 4 consecutive 100 yard rushers prior to Sunday. Well make it 5. The burst that LeSean McCoy has this season is ridiculous, any slight crease turns into an 8 yard gain, any big hole turns into a 25 yard gashing run. He’s run for 290 yards on just 37 carries over the past two games and he’s playing like one of the best players in football. He’s not just really good, he’s also one of the most fun Bills players to root for in years and it’s not just about his skills. He plays with so much joy and unlike so many others it bursts out of his face mask. He clearly enjoyed putting 3 touchdowns on Chip Kelly, the man who unceremoniously traded him from Philadelphia and guess what Shady, so did we. Now allow me to get a bit crazy for a moment. If we separate ourselves from the ‘Billsyness’ of it all, let’s take a look at the Bills like we would any other team in the league and examine what their profile is: a team that is coming back from a brutal start to their season to have 4 straight dominant wins, a team that has not had success in a very long time and a team that has one player being as dominant as LeSean McCoy has been for them, I think you would have to consider that player for MVP. By no means is McCoy a favorite; Matt Ryan, Ezekiel Elliott, and probably Tom Brady will have a lot to say about that. But awards are all about narratives and if the Bills are able to finish the job, end the drought and make the playoffs with 10 or more wins they’ll be one of the biggest stories in the league and Shady will be seen as the most important reason why. I don’t think he can win the award unless he keeps up his current pace, and of course he’ll probably cool off, but I could absolutely see him getting some votes. When you run for 300 yards as a team typically the quarterback isn’t that big of factor. Not this quarterback. Tyrod was able to run the ball with ease on Sunday. Seemingly anytime that a throw wasn’t available Tyrod’s legs would give the 49ers defense fits. He rushed for 68 yards on only 8 carries and it didn’t really feel like he was doing that much damage because he makes it look so easy. His running ability along with the stellar play of the offensive line is a big reason for the strong play of LeSean McCoy. 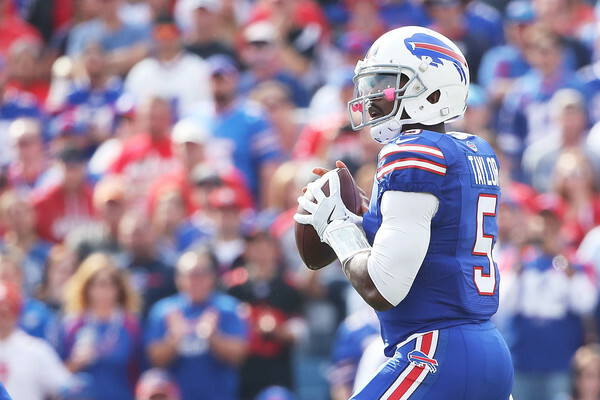 However, Tyrod was able to make hay through the air as well Sunday, perhaps making the biggest play of the game with his touchdown pass to Justin Hunter. It was the perfect throw made at a time when the game could go either way. I would call Sunday’s performance classic Tyrod because we saw the full array of what he can be as a player. He struggled at some points, he was frustratingly inaccurate on some passes early. But once again he never put the ball in danger. His only turnover came when the offensive line had a complete breakdown and allowed him to get hit before he handed the ball off. When you’re playing a team as bad as San Francisco, the only way they’re going to be able to keep up is through getting short fields from turnovers and Tyrod’s play eliminates interceptions from that part of the game. I would also call this game a classic Tyrod performance because of what he can do with his athleticism and I’m not just referring to rushing. His subtle movement in the pocket is sublime at times. Tyrod is so athletic that sometimes some of his best moves having nothing to do with his supreme speed but with his impeccable balance. Several times rushers would be approaching Tyrod on Sunday and he would be able to make a slight move to dodge the defender and still keep himself in perfect position to keep his eyes downfield and make a throw. It’s the little things like that make me appreciate this guy. 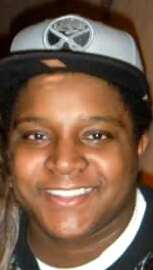 There’s also the intangible quality of Taylor, the feeling you get watching him play quarterback for your team. Even when the Bills offense is scuffling, you may be worried because ‘it’s the Bills’ but Tyrod has little to do with that. The lack of interceptions contribute quite a bit to that feeling but it’s not that simple. He always seems to be in control and relaxed and that translates through the TV screen. Even with all of his limitations that I’m sure will raise their ugly head as the Bills face tougher opponents than San Francisco, you just feel comfortable with his as your leader. And that’s a feeling I don’t mind the Bills spending a $16 million cap hit on. Here we sit six games into the season and the Bills haven’t given up more than 19 points except once. And the more good performances the Bills are putting together, the more the Jets game looks like an outlier. Not only are the Bills dependable on the defensive end, they’re becoming everything you want from a defense in terms of forcing turnovers and getting after the passer. I think there are two ways of playing good defense in the NFL, steady and stable or aggressive and opportunistic. Having a steady and stable defense gives you a shot to beat bad to mediocre teams every week by playing smart, having few break downs and not allowing middling offenses to string together multiple first downs in a row. These types of defenses will be adequate against most teams but will struggle against the top quarterbacks in the league because they can put together multiple first downs against anyone if they have time to throw. The aggressive and opportunistic defense relies on creating high variance plays, getting massive amounts of pressure and having to sacrifice coverage by playing man to man to force the quarterback into bad decisions. This defense is less stable because they are more prone to breakdowns but if their offense gets a lead for them and allows them to tee off, the 3 or 4 plays they can make will change a game. These types of defenses are also able to have the best chance of beating good quarterbacks because while a good QB may be able to take more advantage of their breakdowns, there’s also a bigger possibility of forcing that player into mistakes by getting pressure on them all game. The best defenses are able to blend these two qualities together. The Bills, like the Broncos did last year, appear so far to be a team that can do that. Through 6 games the Bills are tied for 1st in the league with 12 turnovers forced, 2nd in the league with 20 sacks and have only allowed opponents to score on 30.6% of their drives, good for 10th in the league. However you can’t truly know how good a defense is until you see how they do against a great offense. Unlike a great offense than can prove themselves every week by putting up 30+ points regardless of the opponent, great defenses are only measured by how they do against the best offenses in football. They must pass mental tests in the minds of fans and media. The Bills have only had one of those tests in beating Arizona, a test they passed with flying colors, but a test that most people dismissed with Arizona’s early struggles. I believe as the season goes on, that performance will start to look better and better. But their next test is the most important one yet, against New England. If they can slow down Brady we can begin to seriously talk about the Bills defense as special. But first they must handle Miami next week to get that opportunity. There’s a team in the NFL that’s ranked 3rd in the NFL in scoring and 7th in the NFL in points allowed. 1st in rushing yards per attempt on offense and 3rd in fewest passing touchdowns given up. 2nd in turnover differential and 1st in point differential in the entire league. That team ladies and gentlemen is your 2016 Buffalo Bills. Not bad eh? Now let’s put the team with that profile against the rest of the AFC. This is conference is weak guys. After the Patriots, every team in the conference has obvious flaws. Just look at this week for example. Prior to week 6 starting, I would’ve said the Broncos, Steelers and Raiders were the next best teams in the conference after New England. They all lost badly this week. If you go to the next tier of teams, Baltimore, Cincinnati and Kansas City, only the Chiefs won. The conference has never looked more muddled. The way the Bills are playing, they would be a playoff contender even in a normal year in the AFC. But this year where the entire conference outside of the Pats looks unreliable, the Bills look even better. The Bills have had fast starts only to fall apart in previous years of course, and they still may have a dip in play ahead of them. But based on the rest of the conference, the Bills may be better suited to survive that dip in performance than during any season in recent Bills history. If the Bills handle business this week against Miami, a team that aside from last week’s win against Pittsburgh had looked like one of the worst in the league, an awesome opportunity awaits. A game against a Patriots team in Buffalo, where for once the game may be more important for them than it is for us. A win for the Bills would give them a season sweep of New England and the tiebreaker over them for the division. The Bills will be underdogs of course, but sports are all about highly anticipated moments like this one and I want to see how this Bills team measures up with the best. A solid performance in Miami this week will give the Bills the opportunity to have their biggest signature win in years and will give fans a very fun week of anticipation. Just one more win guys, we’re almost there. This entry was posted in evansally, NFL and tagged Buffalo Bills, evan sally, football, nfl, San Francisco 49ers, week 6. Bookmark the permalink.